The response of a structure, in particular in the inelastic range, is highly dependent on the ground excitation intensity, duration as well as frequency content and its evolution with time. Strong ground motions need to be modeled as nonstationary random processes. Although methods have been proposed to generate nonstationary random processes with evolutionary power spectra, the required parameters are difficult to estimated and the methods are difficult to implement in random vibration response studies. 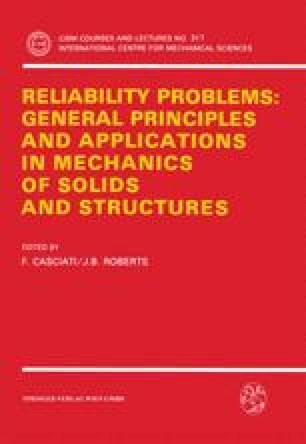 This chapter introduces a new nonstationary ground motion model and its applications. It can be efficiently used in Monte Carlo simulations as well as random vibration response studies. Methods for parameter estimation are also given.